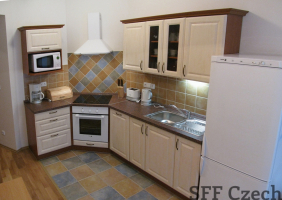 The long term or short term rent of fully furnished 1 bedroom apartment in the desired location of Praha 2 - Vinohrady. The apartment 1+1 (55 sqm.) 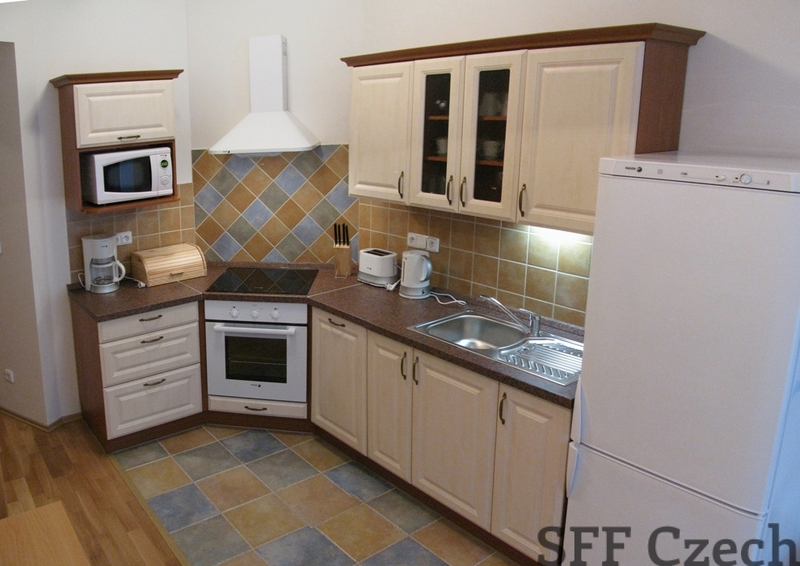 situated on the garden level in a well maintained building in Prague 2 – Vinohrady. 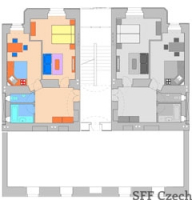 The flat has an entrance spacious hall, living area with night zone with windows facing quiet court, fully equipped kitchen with dinning table and chairs, bathroom with washing machine and dryer, separate toilet. Building is equipped with an elevator. Other equippment: fridge/freezer, oven, electric stove, microwave oven, electric kettle, coffee maker, toaster, TV, DVD, satellite receiver, WiFi, washing machine, iron, ironing board, vacuum cleaner. Price for short term rent on request.